How likely are the undefeated teams to stay undefeated? There are 21 undefeated teams in the Football Bowl Subdivision through four weeks. In 2014, the first year of the CFP, just one team finished unbeaten — Florida State, which won the ACC. In 2015, only ACC champion Clemson had a perfect record. In 2016, we again had only one unbeaten, SEC champion Alabama. And last season there were no perfect Power 5 teams after the conference championship games. Central Florida sparked a little talk about the system by finishing undefeated, but the CFP committee never gave the Knights much consideration. 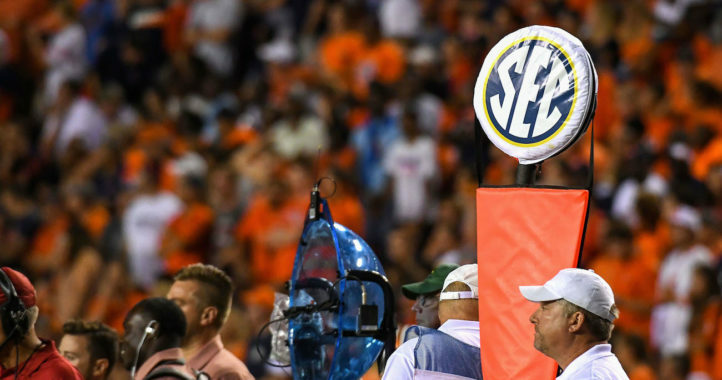 Those with long memories will recall that unbeaten SEC champion Auburn was frozen out of the BCS national title game because both USC and Oklahoma also were unbeaten. But if that happened now, all three would make the Playoff and the real controversy would be which one-loss team would take the fourth spot. So how likely is is that we will have three, four or even five unbeaten teams for the CFP voters to consider? In a 12-game regular season, plus conference title games, the odds are really low. The guess here is that, maybe, there’s a 5 percent chance of an unbeaten team being left out. An undefeated Power 5 team, that is. So what are the odds that any of these individual teams will finish undefeated? We could use FPI or some other metric, but nope. This is a gut feeling, by conference. Just for fun we included Group of 5 teams in case another UCF-type controversy pops up. 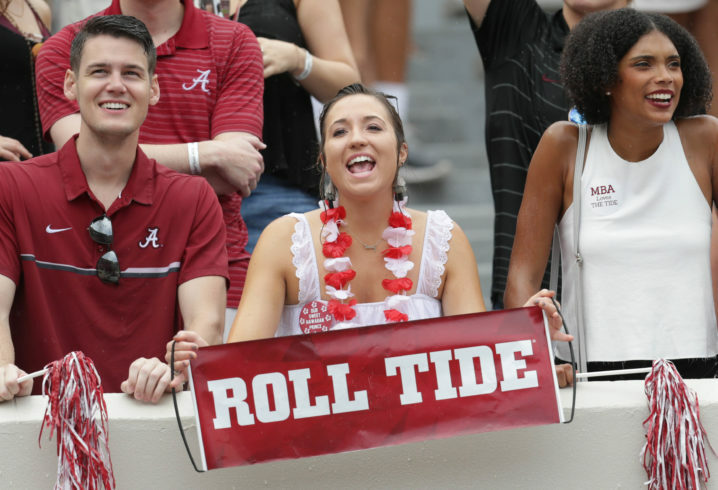 Alabama: Crimson Tide fans might get mad that their chances are not higher; I say, do you know how hard it is to go unbeaten in 13 games, even for this program? It’s so difficult that Nick Saban has won 5 national titles in Tuscaloosa but only had 2 teams reach 13-0. 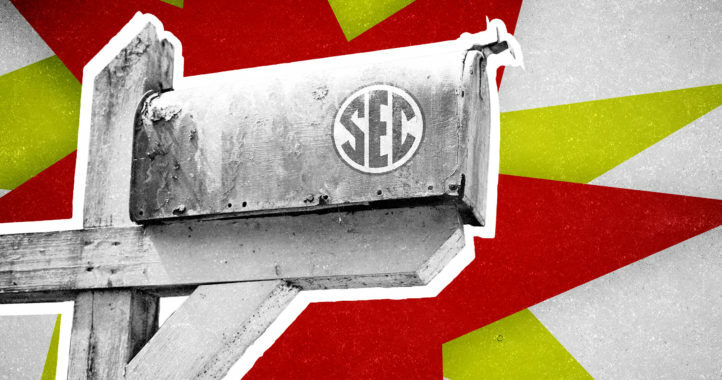 The loaded SEC West (LSU, Auburn, Mississippi State) awaits. 40 percent chance of finishing the regular season unbeaten. 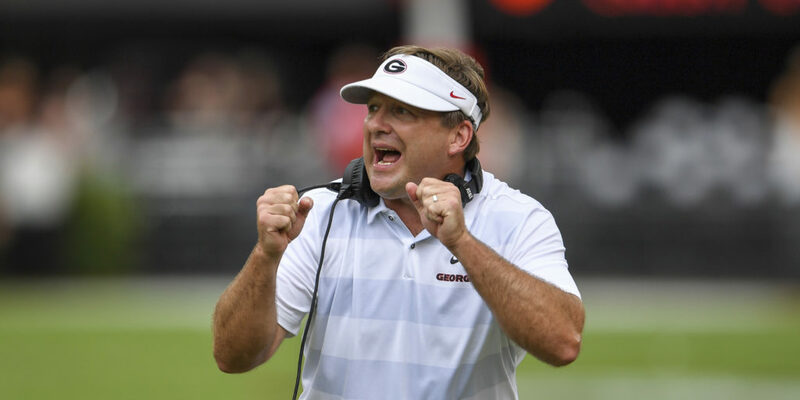 Georgia: This number is predicated on two things: The fact that the East Division is much weaker than the West, and that the Dawgs will meet Alabama again — in the SEC title game. They have a decent chance, but I still favor the Tide. 30 percent. Kentucky: Georgia looms in November, but the surprising Wildcats cannot afford to look ahead that far. Their rise to No. 17 is a terrific story, but even before that Georgia game, South Carolina and a trip to Texas A&M await. 0.5 percent. LSU: The Tigers should handle Ole Miss they are more talented than Florida, but the Gators are an unpredictable rivalry game. The real problems are Georgia on Oct. 13 and Alabama on Nov. 3. And Mississippi State, which spanked the Tigers 37-7 last year, falls in between those two. 2 percent. 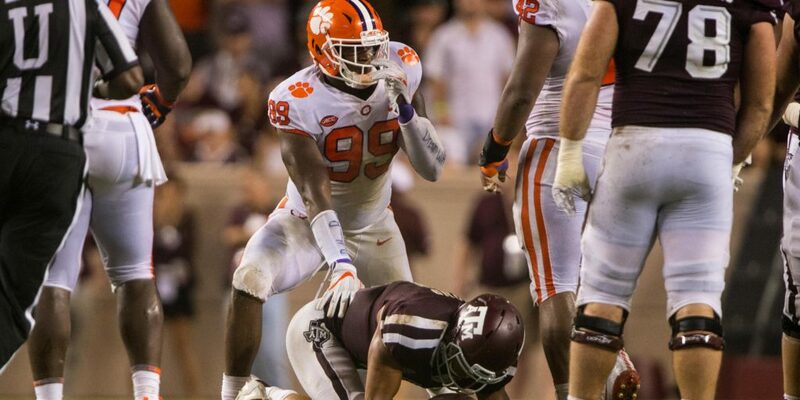 Clemson: The best chance of any team on the list, because the conference is not that good. Miami might still be the second-best team in the league, but the Tigers don’t face UM, unless it happens in the ACC title game again. 45 percent. Duke: The Blue Devils face what will surely be an angry Virginia Tech bunch this Saturday. But if Duke wins that one, Miami and Clemson are not until Novem …. Oh, who am I kidding? 0.01 percent. N.C. State: The Wolfpack likely would not be here if Hurricane Florence hadn’t postponed their game against West Virginia. A 5-0 start is doable, but then comes that Clemson trip. 1.5 percent. Syracuse: Apart from a blowout of Florida State, the Orange has faced a really weak schedule. Syracuse plays Saturday at Clemson, where the Tigers seek revenge for last year’s upset loss. 0.1 percent. Ohio State: Those following my bowl projections will notice that I have Penn State in the CFP, not OSU. Of course that’s predicated on the Nittany Lions winning Saturday in Happy Valley, so we’ll see in a few days. 15 percent. Penn State: No matter what, the B1G will be down to one unbeaten team after Saturday. Penn State gets OSU, Michigan State and Wisconsin at home, but Nov. 3 at Michigan is tricky. 22 percent. Oklahoma: The Sooners survived a scare against Army and now head into the meat of the conference slate. The Red River Shootout suddenly looks interesting and a trip Nov. 23 to West Virginia is huge. 13 percent. West Virginia: See above. 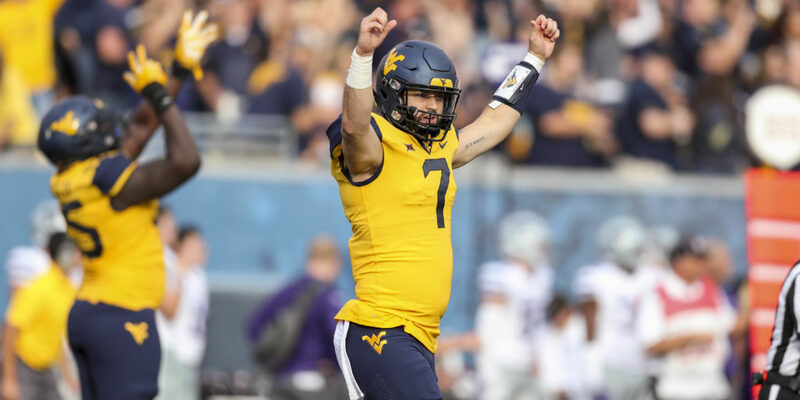 The Mountaineers host Oklahoma Nov. 23, but trips to Texas and TCU await Will Grier and friends before that. This is an intriguing team. 8 percent. California: A ticked-off Oregon team visits Berkeley this Saturday. If Cal survives that one, a 7-0 start is not unreasonable, but this team doesn’t have the horses to topple Washington and Stanford. 0.5 percent. Colorado: The Buffaloes could well be 5-0 heading into a road trip to USC on Oct. 13. That will be tough, but the downfall here is that Colorado visits Washington the following week. 0.8 percent. Stanford: If the Cardinal can knock off Notre Dame this week, and I think Stanford will, the biggest test left will be the trip to Seattle on Nov. 3 to face Washington. Buffalo: Oddball fact — other than Tigers, the only nickname with two unbeaten teams is Bulls (USF is the other). That’s about the most interesting thing about Buffalo, which is a nice story that won’t last. 0.01 percent. Cincinnati: This is the first of three American Athletic Conference teams with perfect records. All reside in the East Division and none of them face each other until November, but I still only give the Bearcats 0.5 percent. North Texas: Did you even know this team was unbeaten? Mean Joe Greene’s alma mater pounded Arkansas and has scored 40 or more points in each game. Plus Conference USA is weak. Hmmm …. 3 percent. Notre Dame: The Fighting Irish host Stanford on Saturday. I have thought all season that Notre Dame was overrated and I am convinced that Stanford will still be on this list next week, which means 0.5 percent. UCF: It is so, so difficult to go undefeated, never mind doing it in back-to-back seasons. But McKenzie Milton and Co. are humming along and, again, none of these AAC East teams meet until November. 8 percent. USF: With apologies to my alma mater, this is the least likely of the three AAC teams on this list to pull off the feat. The Bulls have had to rally in three consecutive games against substandard opposition. 0.1 percent. Longtime newspaper veteran Jim Tomlin is a copy editor and writer with SaturdayDownSouth.com. I really don’t understand why you think Penn State will beat Ohio State. I would put Bama’s chances above 50%. UGA is probably about right. LSU has the same bye week as Bama, so that is a wash. Arkansas is a bad team so that shouldn’t matter. LSU should have all the motivation in the world against MSU after the beating we took against them last year. Injuries are a concern and LSU just needs to get healthy and ready to play their best for 60 minutes.